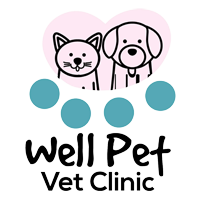 Dr. Noe, an avid Disney fan and self-proclaimed pirate, is the owner of Well Pet Vet Clinic. She opened the hospital in 2001 to provide the community with an affordable option for high-quality veterinary services, with an emphasis on preventative care. After obtaining her bachelor degree (1981) and DVM (1985) from the University of California at Davis, she worked in general practice, emergency, and even ran a mobile clinic, before opening Well Pet. Dr. Noe loves all animals, including her dogs Yum Yum, Georgie, and many cats. In her spare time, Dr. Noe enjoys working out, traveling, reading, photography drawing, and spending time with her daughter. Darwin is our office manager/business partner. He is a fitness enthusiast and animal lover! Courtney is our assistant office manager and IT coordinator here at Well Pet. She's an avid animal lover and loves spending time with her two dogs, a Golden Retrievers, and a Labradoodle. Jeremy came to us through his Carrington College externship and then was hired on full time. He recently passed his RVT test! Jeremy is very reliable, knowledgeable and is great with helping in any way he can. Sandi has worked as a veterinary assistant here for 17 plus years. She has a kind heart and is very knowledgeable. Sandi is quick to offer solutions in any circumstances and is excellent with cats. She is always willing to help especially with training new employees. Johnnie has worked with us for a few years now on his summer breaks from school and is currently working on his lifelong goal of becoming a veterinarian. He hopes to learn as much as he can from Dr. Noe so he can bring the same level of care and passion to his vet clinic someday. Jenna is a hard worker and dog lover. She likes to cuddle with the patients to hopefully make them a little calmer on their vet trips. Kay is our phone receptionist. She is an animal lover! Kay likes to talk with clients on the phone and help them as quickly as possible. Her top priority is to help your pets get the care they need. Our front office supervisor, Miss Chatty! Chatty likes to hang out near the front counter and greet everyone as they check out. She is a talker (hence the name) and loves to be petted. Chatty is a 15 year old, domestic shorthair Calico kitty. Eli is our shy office cat who supervises our back staff. Eli likes to climb the cat towers and only comes out for petting when things are calm in the back of house. He is a 13 years old domestic shorthair that loves to hide and sleep in creative places. Sister is a new member of our clinic cat family. She comes to us with her Brother from our staff. Sister and Brother were born via a C-section performed by Dr. Noe over ten years ago. When they were delivered we didn't think they would make it but Dr. Noe bottle fed them, and they have had a happy and healthy life ever since. Sister is a water lover she sits in the sink and waits for us to it on. She likes to get cuddles and climb as high as she can on the kennels. Brother is a new member of our clinic cat family. Brother likes to cuddle in his cat tree and explore the office. He is a little more reserved than his sister, but he is getting a little braver each day.